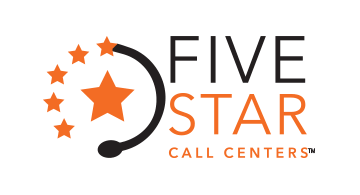 Five Star Call Centers has been in the third-party call center business for over 30 years. During that time we’ve built an unsurpassed team of high-quality customer service agents, all trained to bring you results 24/7/365. We’re PCI-DSS Level 1 Certified, which means we offer data protection in our four US-based facilities. Good customer service is about creating better relationships, and with a slate of services that include inbound, outbound, chat and email support, we have the people and technology to support your business.